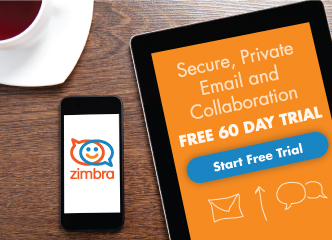 The last few posts have focused on using Zimbra’s powerful search feature. This post demonstrates the different methods to quickly create some of the most common searches. There are 3 ways to search for email to or from a specific user. 1. 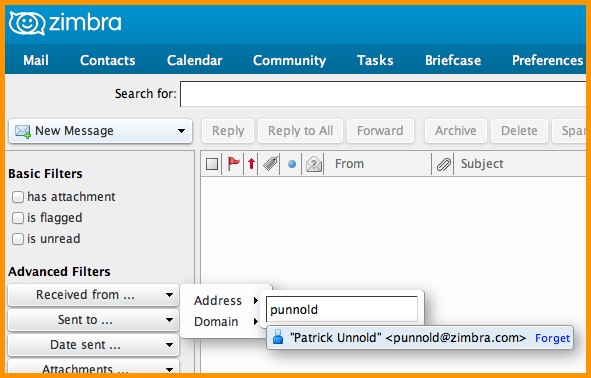 You can right-click the user’s email address in any email or window and select from the Find Emails option. 2. You can type the user’s email address (or a portion of the address) into the search field. This search returns all email sent to and received from the user. 3. You can click the magnifying glass in the search field to open the Search tab. Then enter the user’s email address (or a portion of the address) into either the “Received from” or “Sent to …” menus. 1. You can type “is: unread” into the search field. 2. You can click the magnifying glass in the search field to open the Search tab. Then click the “is unread” filter. 1. You can type “attachment:” into the search field, and you will see a list of attachments you can select for your search. 2. You can click the magnifying glass in the search field to open the Search tab. 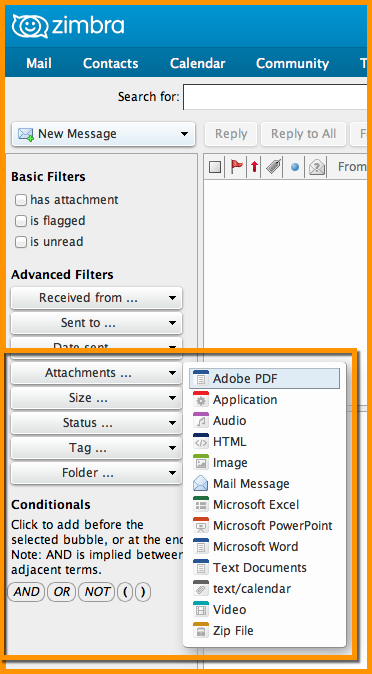 Then click the “has attachment” filter. This search returns email with any type of attachment. 3. 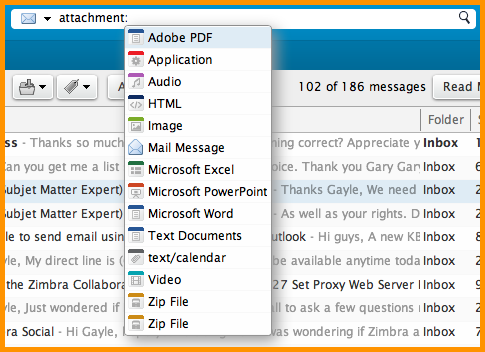 In the Search tab, you can use the Attachments menu to search for emails containing a specific type of attachment.